The EY Scotland Attractiveness Survey 2017 showed that Scotland is the second most popular investment zone after London in the United Kingdom. This is the fifth time in a row that the country has been in this position. More than 50 foreign projects in Europe are located in Scotland. Scotland has a few resources other Europe nations can’t match including one of the most highly-educated workforce in Europe, an internationally-regarded brand and a long-standing status for innovation. In terms of projects that are being secured, Scotland has three cities represented in the UK top 10, with Glasgow, Edinburgh and Aberdeen featuring in fifth, sixth and seventh place respectively. 2016 was a particularly good year. 120 foreign investment deals were made over the course of the year, up from 119 in 2015. In this same year, investment grew by 51 percent while foreign direct investment grew by 2.5 percent; lower than the 7 percent recorded across the U.K. for that year. In this same year, Scotland’s foreign investment from North of the border was 10.7 percent compared to the deals from the previous year which was 11.2 percent. This year has already been a strong year for Scotland with 21 individual foreign investment projects attracting research and development investment. This was preceded by the foreign direct investment flows in the second half of 2016 which were boosted by the Anheuser Busch InBev acquisition of SABMiller. What has been interesting is following Brexit, the foreign direct investment flows increased to £197 billion from £33 billion the previous year. In terms of foreign investment from different countries to Scotland in the year 2016, statistics shows that the U.S. invested 43 projects which amount to 35 percent, France with 14 projects which amounted to 11 percent, Germany with 7 projects which are 6 percent, Ireland with 6 projects which are 5 percent and China with 5 projects with 4 percent. In the first quarter of 2017, the global flows of foreign direct investment decreased by 3 percent to $788 billion compared to the global flows of foreign direct investment of the second half of 2016 but remained above the figures of the year 2013 and 2014. In the first quarter of 2017, there was an increase in the flows of direct investment by 3 percent to $416 billion. The overall decrease in the first quarter of 2017 was due to the drop in the second quarter of 2017. In 2013, 521 jobs were created in the manufacturing sector; the contact centre area saw 1,195 jobs created which makes it the highest area in which jobs that are being created; in the sales and marketing sectors, 907 jobs were created; in the research and development area, 859 jobs were created; and in the testing and servicing sector, 636 jobs were created. Moving on to 2015, a lot of FDI started to come into Scotland from across the globe with the United States having the largest share of investment with about 36 percent. France followed with 12 percent, then Germany had 7 percent of the foreign direct investment share in Scotland. Norway and Canada had 5 percent and 4 percent respectively while Australia, Japan, Denmark, Singapore, Sweden, Switzerland all had 3 percent each in the foreign direct investment share of Scotland. The percentage of investment made in each sector (2016) was spread across various sectors with business (14%) and construction (11%) the big winners. However, 11% was also invested in the software sector showing the burgeoning technology sector. 9% was invested in the machinery and equipment sector, while 6% and 5% were invested in the scientific research sector and food sector respectively. A further 4% was invested in the pharmaceuticals, retail and utility sector each. Foreign direct investment already plays a central role in Scotland’s economy and is a crucial component of developing growth sectors in Scotland and building stronger supply chains. Foreign direct investment also provides other benefits in terms of wider employment, transfer of knowledge, technology and innovation and increased productivity. Since 2005, Scotland has attracted an average of 62 new foreign direct investment projects each year creating 3,700 jobs in both manufacturing and services sector. In 2014, 37.5 percent of the projects in Scotland were from foreign direct investment. Further in 2016, about 2,300 foreign companies employed 314,000 employees with a combined turnover of £89 billion. Over the last decade, Glasgow has attracted £5.3bn and Aberdeen £2.67bn of commercial property investment – the third and seventh highest level of investment respectively of any city in the UK outside London. 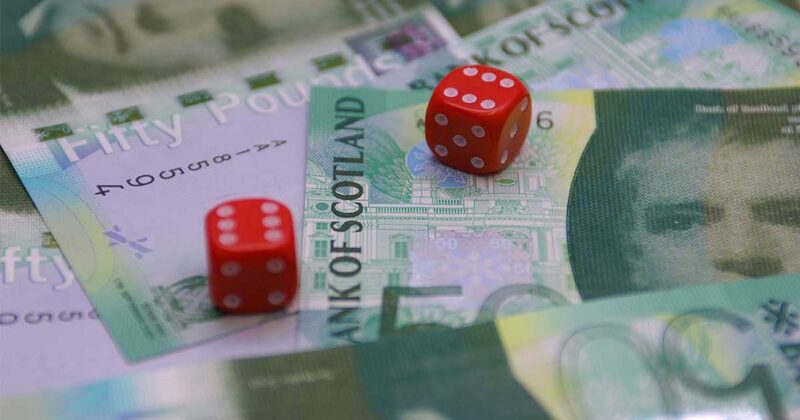 There are various attractive incentives given by the Scottish Government for Foreign Investors, which include fiscal and financial incentives to corporate R&D Human capital development. The attraction of foreign talent is a big focus for the government while enhancing the research infrastructure and promoting collaboration and linkage are key processes to keep its industry competitive. Improving the intellectual property rights regime is also a key field as well as its BAIC Position on Incentives is a further area. All in all, Scotland’s investment scene is increasingly on the up and showing no signs of stopping.